The Sutter-Yuba Mosquito and Vector Control District faces some challenges due to the large number of mosquito producing acres in Sutter and Yuba counties. As a result, mosquitoes looking for resting sites may end up at your home. This is especially true in the rural areas. So the district provides a free service to reduce mosquito numbers for residents in the district who have a mosquito problem around the home. Residents may contact our office to schedule a service request. Information about your residence and your problem will be taken and forwarded to the operations staff. Normally a technician will be dispatched and come out to your home to make an assessment. A decision will be made regarding what action(s) should be taken based on his/her findings. Often the technician can find a water source on or near your property producing mosquitoes and can eliminate it. When day resting mosquitoes can be found during daytime hours and no larval source seems obvious, a chemical treatment is generally warranted. In the summertime the treatment will typically be a residual application. A residual application involves closing up the house, removing any children's toys and pet's food and water dishes so some surfaces of the house, shrubbery, and sometimes the lawn can be treated. After the spray dries it leaves a small amount of the material for the mosquito to absorb. The mosquito picks up the toxin as it lights on any treated surface. Keep in mind that this material will be washed away by rain water or irrigating in treated areas. 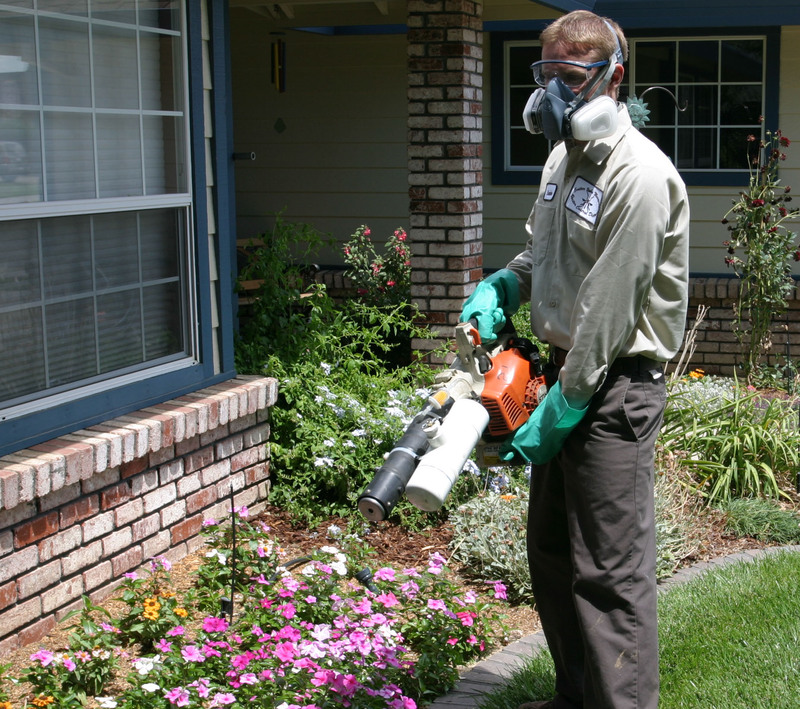 Our technicians are familiar with the typical places mosquitoes prefer to rest during summer-time days and will spray these areas. They will be careful to follow all of the label directions for safe and proper use of the product. A residual treatment will reduce the number of mosquitoes around your home, but won't eliminate them. It should help especially with mosquitoes resting around exterior doors waiting to sneak into your home when you enter or exit through them. 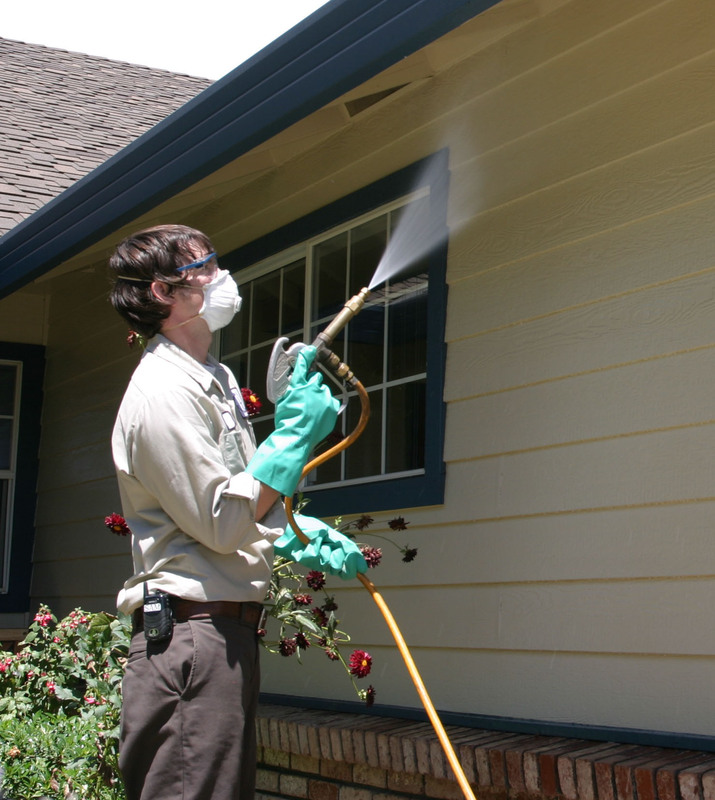 To enhance control, homeowners can purchase and apply materials that are effective at further suppressing mosquitoes. Most home improvement and department stores with garden centers stock these materials. Some are sold as concentrates and some as ready to use products. Generally, the concentrates are more expensive, but more economical. Refer to the product label to determine which products will suit your needs. The area(s) that you intend to treat must be listed on the label. It is a violation of Federal law to use any pesticide product in a manner inconsistent with its labeling. You can schedule a service request by calling our office or submit a request.